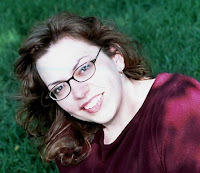 Morgan & Therese say: Recently, our dear friend, writing buddy, and cover designer extraordinaire - Christy Carlyle - gave an awesome presentation on how to utilize your book covers on social media platforms, in electronic promotions, and on your website. We liked her presentation so much, we asked her to write TWO guest posts. Thanks Ms. Carlyle for paying-it-forward and sharing your knowledge! A great book cover is a key aspect of any author’s marketing strategy. The quality of your book cover can entice a potential reader, even if they’re only viewing it in thumbnail while browsing Amazon or another online book retailer. I know I’ve stopped in my tracks to dig deeper, reading a blurb or scanning reviews, when a cover catches my eye. How about you? After several years as a book cover designer, I’ve learned that’s not the end of a cover’s potential. Here are a few additional ways you can make your book cover work harder for you. I should say up front that I come at this from the perspective that covers serve as a signature, a kind of symbolic shorthand for your book. People often recall the cover of a favorite book years after they’ve read it. As a former bookseller at Barnes & Noble, I lost count of the number of times people came in looking for particular book and couldn’t remember the title or author, though they could describe the cover in extensive detail. Covers make a lasting impression. Make sure people remember your enticing cover too. Cover designs used as a Facebook header and avatar. All of us tire of seeing continuous self-promotion on social media, but one simple form of social media marketing is to use your cover design as either your profile picture and/or some aspect of the design in the header portion of your social media profile. 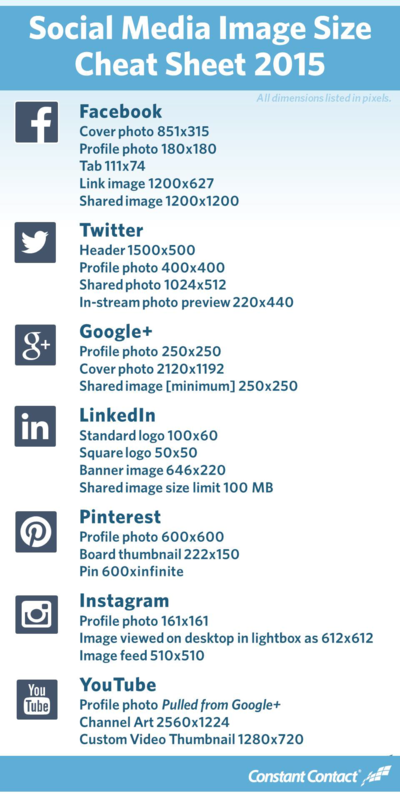 Many social media sites, including Facebook, Google+, Twitter, and LinkedIn, allow you to upload a header in addition to a profile image. These images should represent you and your brand. Lots of authors change their header with each new book release. Keeping track of the various sizes required by each platform can be migraine-inducing, I know, but I found several cheat sheets online that can help you navigate the various sites. If you have basic graphic design skills, you can use graphics software like GIMP to create a simple header featuring your book cover. However, thanks to sites like Canva.com, you don’t need any graphic design skills to create a basic and functional header with your cover. What you do need is a decent sized (400 x 600 pixels or larger) low resolution (72 ppi or higher) version of your cover. Canva.com actually provides templates in the correct dimensions for use as a Facebook header or, if you’re using one of the cheat sheets referenced above to create a header for a different social media site, you can choose your own dimensions. The site also allows you to upload your own files, and this is how you’d add your cover to any other text, colors, or styles you might want to add to your header. Putting cover elements to work. If you’re a blogger or guest blogging on any topic around the time of your book release, be sure to include your cover in your post, even if it’s not specifically about your new release. It goes without saying that your cover should also be prominently displayed on your website, preferably on the front page. Don’t make it hard for visitors to find your books! And do leverage the beauty of your cover design to entice those visitors. It probably goes without saying that buy links should be included everywhere you feature your book cover on your website. They needn’t be big, but they should be there. Don’t forget to add your book cover to your blog too. Most blogs allow for sidebar widgets, and this is prime real estate for displaying your cover, preferably with live buy links, and especially during the weeks of its initial release. Using cover art in Twitter tweets. During the initial blitz of a new book’s release, you’ll probably be doing several blog posts, perhaps sending out press releases, and making sure your cover is prominently displayed on your website, blog, and social media profiles. Get your gorgeous cover solidified in people’s minds! As important as getting your cover out there is getting it out there in the right dimensions. The cheat sheets referenced above give information on the optimal dimensions of posts as well as headers. It’s important to keep these in mind when posting promotional tweets, for instance. Facebook loves square dimensions and Twitter loves a flat rectangle. If you post your entire cover (an upright rectangle) on Twitter, you may find that only an odd portion of it is displayed. The first time I uploaded my cover to a Twitter post, my stream displayed the end of my heroine’s nose and my hero’s chin. I quickly learned to avoid this by using photo editing software or a site like Picmonkey.com to select an appealing portion of my cover in a flat rectangular shape (see the dimensions in one of the cheat sheets). Another important reminder is that for digital display, a high-resolution image is not required. High-resolution is often confused with high quality, but in terms of digital display — on your website, on your blog, on social media — a high-quality, correctly sized low resolution image is your best friend. Using a high-resolution image on social media might get it processed through the sites’ compression algorithms and could result in a pixelated image. Using a high-resolution image on your website could cause the image to load more slowly for some visitors. The key to a high quality, low resolution image is maintaining the dimensions of the image. In other words, don’t stretch it. Don’t be afraid to show off your excellent cover. It’s a form of book marketing that’s less intrusive than endless repeated tweets, bragging about great reviews, and posting continual “buy my book” pleas. If your cover is gorgeous, no one will mind seeing it again and again. It serves as a kind of logo for your story, and that visual impression often makes more of an impact than any pithy sales pitch you could devise. Fueled by Pacific Northwest coffee and inspired by multiple viewings of every British costume drama she can get her hands on, Christy Carlyle writes sensual historical romance set in the Victorian era. She loves heroes who struggle against all odds and heroines who are ahead of their time. A former teacher with a degree in history, she finds there’s nothing better than being able to combine her love of the past with a die-hard belief in happy endings. Her new series, Accidental Heirs, debuts from Avon Impulse with One Scandalous Kiss in September 2015. Writer conferences, conventions and workshops are scheduled all year long and attendance is recommended for anyone who wants to create a career in the world of books and publishing, no matter how much that venue has changed in recent years. To help our readers, here are a few links pulled from the past three years of articles already posted on this site. Conference & Conventions: To Do & What NOT To Do - Any Questions? What do we mean when we say "work" a conference? 1) People who are there to ATTEND the conference (attendees). Morgan here with a Field Report from the Emerald City Writers' Conference in Seattle, WA. Of course, the most important thing to remember about attending any professional event - be your best authentic self and have fun!